For humans to function optimally, our body requires two types of nutrients in right amounts, micronutrients and macronutrients. Carbohydrates, fats and proteins are called macronutrients as they make a large portion of the food we eat. Micronutrients are what our body needs in smaller amounts, without them our body cannot function. These are vitamins, minerals and secondary plant compounds. The word protein comes from the Greek word ‘protos’, meaning ‘prime importance’. Protein is needed to build lean muscle, help muscle repair and recovery, maintain healthy skin, hair and nails and boost your immune system. Protein is made of important amino acids that are the building blocks of human growth and development, and for this reason it is so important that we are getting the recommended amount of protein we need daily. Many people want to ‘eat clean’ but then consume protein powders and protein bars that are high in sugar, high in soy, dairy, artificial sweeteners and colouring, which completely contradicts what ‘clean eating’ really is. Makes you think doesn't it? That is why it is a good idea to have a read of ingredients lists and nutritional tables before purchasing products. Our daily protein requirements depend on our size, age and how much exercise we are doing. One way to work out our minimum daily protein requirement is to multiply our body weight in kilograms by 0.8. This is approximately how much protein we should be consuming daily. 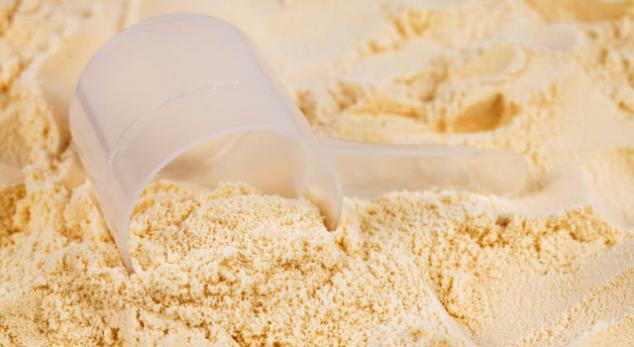 The most common protein sources that are used in protein powders are egg, whey, soy and wheat gluten. Soy and gluten promote inflammatory reactions within the body and are highly allergenic. Whey concentrate is one of the least expensive sources of protein because many of them contain fillers. Whey is a by product of the dairy industry and can have negative side effects such as bloating, diarrhea, stomach pain and flatulence. Since whey protein comes from milk, it isn't great for consumption by people suffering from lactose intolerance. Due to the side effects that these protein powders have, it is important to choose one that is going to benefit your health. One of my favourite sources of protein is pea protein. Pea protein is vegan and is 100% gluten and allergen free. It is really simple if you think about it - choosing a product that contains ingredients that are going to help your body, not harm it. The reason Julia and I created Two Islands Co was so we could formulate a protein powder exactly how we wanted it. We were sick of seeing protein powders on the market that were full of flavourings, fillings, and products that contained whey protein which would always give us a sore and bloated stomach. Two Islands Co pea protein is highly absorbable, low allergenic, dariy free, gluten free, vegan, minimal ingredients and contains no bad stuff. I add a serving to my oats in the morning or to my breakfast smoothie. We worked really hard on creating a product that not only was beneficial to the body but also tasted great. Taking a protein powder helps to keep me full throughout the day, regulates blood sugar levels and because I'm still breastfeeding, protein helps to boost my milk supply. Two Islands Co. protein can also be added to pancakes, baking or it can be added to water just after a workout to help with muscle recovery.